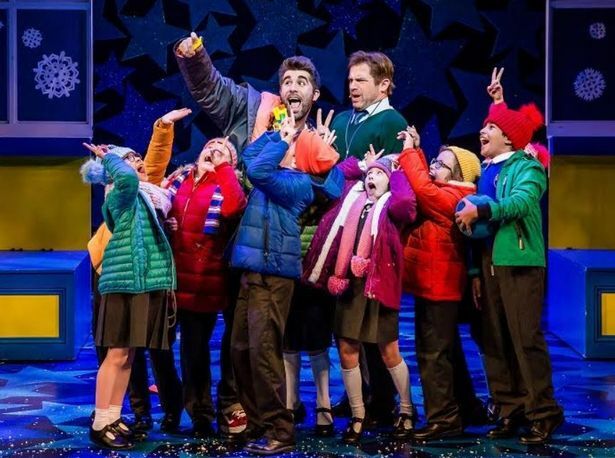 Based on the 2009 film, which is now a British classic Christmas film, expectations were high for the cast and creatives of Nativity the Musical. With a brand new, slightly eccentric and childish teaching assistant called Mr Poppy, ex-actor Mr Maddens is set the challenge of putting on the nativity. Threats of closure haunt the school, so making sure the nativity is spectacular and getting that all important 5 star review from the local paper, Mr Maddens has a lot of pressure to take St Bernadette’s to greatness. After lying that Hollywood are coming to see the production to an old friend and now teacher at the rival school Oakmore and also turn it into a film, the town goes crazy. Can he get Hollywood to come and watch their Nativity the Musical? If you want a classic nativity and tale of the birth of Jesus, you have gone to the wrong show. Instead, if you want British humour, a lot of frumpy school uniforms and singing children, you’re in the right place. The show is a smash, and features the original songs from the beloved film, with extra new ones to add to the magic. Mr Poppy is everything that comes to mind when you describe a 7 year old boy…. lunchbox in hand, scooter on the go and a couple of sulks. 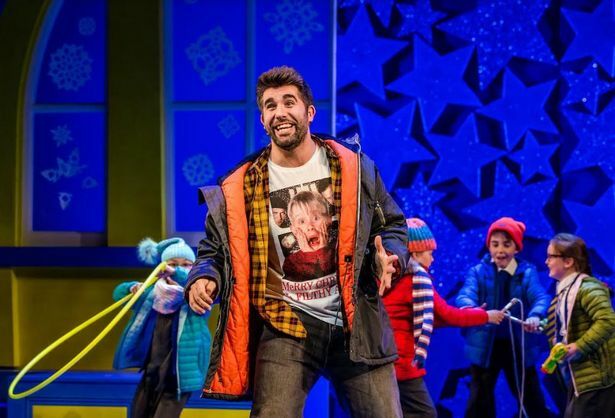 Simon Lipkin is the perfect Mr Poppy, not trying to copy My Poppy from the film - Lipkin managed to find his own character and freshness to the role - while also making some of the mum’s swoon in the audience (he was rather dishy). Daniel Boys melts our hearts as Mr Maddens, being the hopeless romantic and rather grumpy teacher after his girlfriend Jennifer ‘took Christmas with her’, when she left him to follow her dreams to the bright lights of Hollywood. The stars of the show are definitely the kids, with 3 teams sharing the roles. The are pretty much on all of the show, but never let their energy slip. They are real stars and they all sparkled and shined. The grand finale of The Nativity was a whole other show in itself. Swapping between front and backstage, the audience see the children getting nervous, the ridiculously quick changes, even not making it on in time at some points (which made it all the funnier) and the incredible costumes! Everything you could possible ask for in a Nativity, this group of a dozen children made it ten times better. They said they would 'sparkle and shine' - they set the world ablaze! It was true Christmas magic and spirit. Nativity! The Musical is on until Sunday. Tickets cost from £17.90 plus booking fees. Visit atgtickets.com to book.